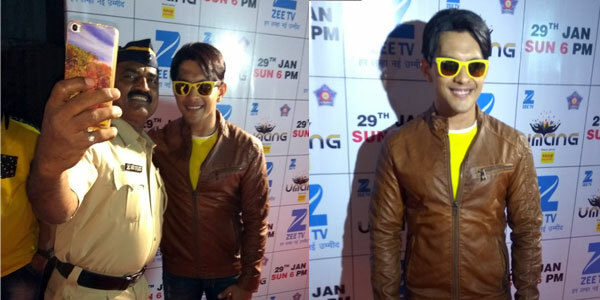 Singer, host and actor Aditya Narayan who is well known for giving playback to many hit chartbusters like "Tattad Tattad" and "Ishqyaoon Dishkyaoon" was recently spotted at Umang 2017 on 21st January. Aditya had his commitments in Pune on the same day but he wound up early and rushed directly from Pune to the venue just for the love and respect he has for our Mumbai police. Source close the singer revealed that, despite of Aditya's tight schedule he managed to reach at the Umang 2017 as he had already given them a commitment. " Aditya was really excited to perform in front of Mumbai police and it was indeed a special one as he was performing his latest single 'Yaara' for the first time on stage. Its his way of showing Gratitude and respect for Mumbai Police," revealed the source. Commenting on the same, Aditya said" It was a great experience while performing in front of our brave hearts. I was really looking forward to performing for the Mumbai police who work so hard day in and day out to keep us safe. I had an event in Pune that got a bit delayed hence i had to rush back but i got here in time and I am glad I had a chance to perform here at Umang". Vocalist, musician, multi-instrumentalist, playback singer, composer, character actor! The rather long list of accomplishments only begins here. Two National Film Awards from the Indian Government (1976 & 1987), Sangeet Natak Akademi Award in 1975, Sangeetha Kalanidhi by the Madras Music Academy in 1978, Sangeetha Kalasikhamani in 1991 from the Fine Arts Society Chennai, India's second-highest civilian honour the Padma Vibhushan in 1991, Mahatma Gandhi Silver Medal from UNESCO in 1995, the Chevalier of the Ordre des Arts et des Lettres by the French Government in 2005!!! "Oru naal podhuma..." a song in the 1965 Tamil movie Thiruvilaiyadal immortalised in his own dulcet tones serves to sum up this maestro's magical musical prowess!! Indeed a day is not enough to sing....nay, merely enlist your extraordinary mastery over music. For how could we ordinary mortals dare to pose a challenge to the indefatigable Dr Balamuralikrishna . Born Murali Krishna on the 6th July 1930, the musical journey began at the unbelievable age of 6! Yes, this was a life meant for music and would begin to enthrall one and all, at that tender age. Observing his interest in music, his father put him under the tutelage of Parupalli Ramakrishnayya Pantulu, a direct descendant of the shishya parampara of Tyagaraja, who ably mentored this prodigy to render a full-fledged Carnatic music concert at age 8 at the Tyagaraja Aradhana festival at Vijayawada. By the age of 14, the young lad had mastered all the 72 melakartha ragas and had composed krithis in the same. The Janaka Raga Manjari was published in 1952 and recorded as Raagaanga Ravali in a nine-volume series by the Sangeeta Recording Company. This was followed by more learnings and more concerts, both as solo musician or as the accompanist with the kanjira, mridangam, the viola and the violin. His musical journey is dotted by his spirit of experimentation and boundless creativity, while retaining the rich tradition of Carnatic music intact, He has composed the new ragas, Mahathi, Lavangi, Sidhdhi, Sumukham with only four notes while Sarva Sri, Omkaari, Ganapathy have only three notes. 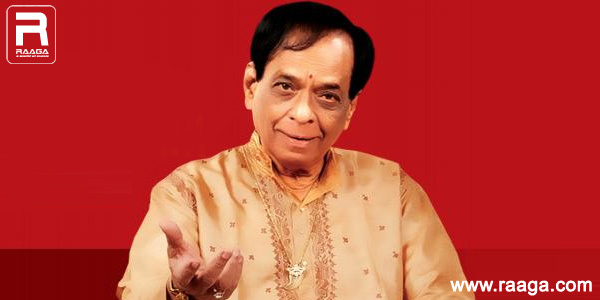 That's not all, he went on to innovate the tala system by incorporating "Gati Bhedam"
This Maestro has over 400 compositions to his credit and is one of the very few people to have composed in all the 72 Melakarta Ragas and has created several ragas and also has invented a new Tala system. 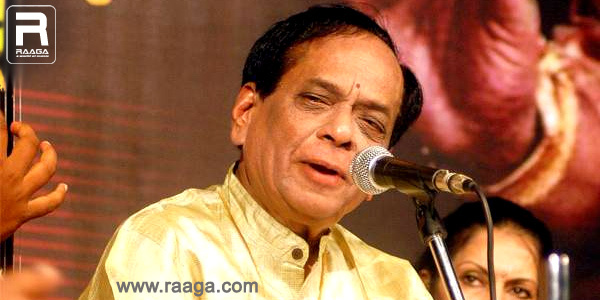 His compositions encompass every facet in Carnatic Music that includes Varnas, Krithis, Thillanas, Bhavageethas. He accompanied Pandit Bhimsen Joshi, Jugalbandi concerts with Pandit Hariprasad Chaurasia and Kishori Amonkar, he is also known for popularizing the compositions of Sri Bhadrachala Ramadasu and Sri Annamacharya. Apart from his native language, Telugu, his works also include ones in other languages like Kannada, Sanskrit, Tamil, Malayalam, Hindi, Bengali, and Punjabi. He appeared as featured soloist with an award-winning British choir, performing the "Gitanjali Suite" with words from Rabindranath Tagore's Nobel Prize-winning poetry and music by "Dr. Joel", the noted UK-based Goan composer. His clear diction in several languages prompted an invitation to record Tagore's entire Rabindra Sangeet compositions in Bengali, preserving them for posterity. He has sung in French, and even ventured into jazz fusion, collaborating with the top Carnatic percussion teacher, Sri T.H. Subash Chandran, in a concert for Malaysian royalty. In February 2010, he did a three-day concert in Visakhapatnam. "Heroes come and go, but legends live forever" said Kobe Bryant. This legendary journey ended its mortal trail on 22nd November 2016, at his residence in Chennai.